Princesses and Pixie Dust: Podcast Party! The online Disney community is a vast and awesome place- a magical playground where Disney enthusiasts of all kinds come together to revel in their collective passion. Brimming with blogs. forums, games, and more, you're all but guaranteed to find kindred spirits somewhere in that wonderland of the World Wide Web, whether you're a total animation geek or more suited to, say, the Avengers (get it? "Suit"-ed? Because they're superheros! ... I'll let myself out.). Now, it's probably not too hard to guess which is my favorite nook of the online Disney-verse (hint: it starts with a "b", ends with a "-logosphere". Also, you're kind of in it right now), but there's another sector that holds a pretty piece of my Mickey-lovin' heart. It spans every corner of the kingdom, covering everything from parks to film to the cruise lines; in it, one can uncover hidden trivia or get updates on the very latest news from the Mouse House itself. Any guesses? ... okay, okay, I'll tell you! That slice of my heart belongs to nothing other than... (drumroll, please...) Disney podcasts! As previously stated (a whole three sentences ago), podcasts offer up both education and entertainment... "edu-tainment", if you will! (Hey- I never said I was good at this wordplay thing. Also, is it just me or is this post even heavier than usual on the snappy parenthetical asides?) They're perfect for long car rides, as a soundtrack to spice up mundane daily tasks, and I find them to be especially helpful when I'm trying to make it through a tough workout at the gym. With so many podcasts out there, it's no easy task to pluck a few favorites from the pool, but I've settled on three outstanding shows to share with you! Inside the Magic, hosted by Orlando Attractions enthusiast Ricky Brigante, is a weekly show that is devoted to keeping listeners up-to-date on all things Disney (and beyond). Brigante always seems to be on the cutting edge of news, and is the main source upon which I rely for my Disney scoop! The show often features interviews with prominent figures from an assortment of Disney's various departments, from Imagineering to Marketing to Talent (check out this summer's interviews with Pat Carroll [voice of Ursula] and Jim Cummings [voice of your childhood]), and since Brigante resides in central Florida, he is able to provide exceptional coverage on in-park happenings and events (Check out this clip from the most recent Long Lost Friends week at WDW... it was about time someone held that Shadowman accountable for his actions!). Inside the Magic is also a helpful resource for those whose interests may wander beyond the Disney parks to other Orlando-area attractions; ITM also provides extensive coverage on developments at SeaWorld and Universal Studios (Hollywood and Orlando)! The Inside the Magic Podcast can be found on iTunes, insidethemagic.net, or the ITM YouTube channel! Let me begin by saying this: this podcast is for you. You're an avid Animal Kingdom fan? You'll love it! You're not in love with DAK, but you'll spend a few hours there? Yep, you too! You avoid that glorified zoo like the plague? Especially you! 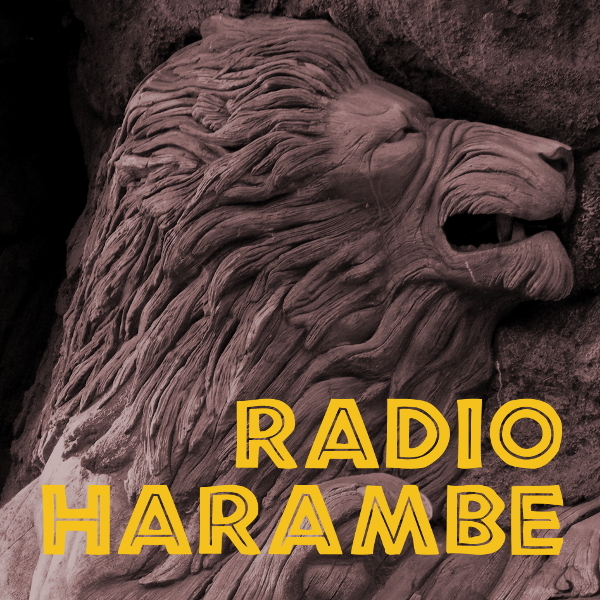 Radio Harambe (as you've probably ascertained) is a podcast devoted entirely to Walt Disney World's (unfairly) designated "Half-Day Park", Disney's Animal Kingdom. I first stumbled across this fairly new show while traversing the Twitterverse, and, though I wasn't exactly what you'd call an Animal Kingdom fanatic, my interest was sufficiently piqued. Needless to say, it only took one episode to get me positively, absolutely, and unabashedly hooked. David McBride and Safari Mike are engaging and fun as they fill their DAK-loving listeners on the latest scoops around the Animal Kingdom and its corresponding resort (which I am now dying to visit). The two fearless leaders truly love the park and excitedly share everything it has to offer, highlighting hidden gems and shedding new light on the things that are often overlooked by the average tourist. To top it off, Radio Harambe and jamboeveryone.com actively promote wildlife preservation by contributing a portion of the Jambo Everyone shop's proceeds to conservation funds (and I bet all of those animals are saying a big "Asante Sana"!). Radio Harambe may broadcast from "high above the savannah", but you can listen to it on iTunes, PodBean, and Stitcher! I actually discovered Resort Loop (whose name cannot be described as anything but epic) in the early days of Princesses and Pixie Dust, as I was just branching out into the realm of social media (a.k.a. Twitter). Bob Coller, one half of the dynamic duo who host the show, reached out and suggested I check out this podcast... and boy, am I glad I did! Bob and Tim (the other half!) discuss all things Disney- seriously, from parks to cruise lines (and even Disney Theatrical), they're on it! However, even more impressive than the podcast itself (which, I reiterate, is pretty gosh-darn awesome), is Bob and Tim's relationship with their "Loopers" (the title they've bestowed upon the show's listeners); both hosts are active on Twitter and are intentional about connecting with the podcast's fan base, which makes no small impression. You can hop on the Resort Loop on ResortLoop.com and iTunes! Which Disney podcasts make your list? Did I miss yours? These three are only the tip of the iceberg... it may not be long until "Part Two" comes along! I am a faithful listener of all the above podcasts. My wife loves the music from Radio Haramber more than the content, but they are all great. Two that I also really like are Be Our Guest and WDW Radio. I have many more downloaded, but those are my favorites. The one I like the most is.... mine... TheDisLife Podcast. Only three episodes into it, but my daughter and I are having a great time creating this together. With that being said, I am enjoying your blog. Loving your play on words. Just plain fun. Disney Therapy... and an Update or Two!